Can a man turn his gold wedding ring into a company with a $6 billion valuation? History tells us the answer is yes. This is the story of a Borneo gold mine and a man with a dream that became a nightmare. It’s the story of Michael de Guzman. Canadian geologist John Felderho gained recognition after helping to discover a substantial gold and copper mine in Papua New Guinea. It was a once-in-a-career find. Then, suddenly, it seemed fate would put another buried treasure within reach. Filipino mining prospector Michael de Guzman brought some core samples to Felderho in 1994. The samples came from the Borneo jungle, and the traces of gold within became the basis of an estimate that 136,000 pounds of gold could be below the surface. Moreover, the land was for the taking, other, larger mining companies that previously explored the same area found nothing and decided to move on. Based on Felderho analysis of the samples Canadian penny-stock mining company Bre-X quickly bought the land. More good news followed. The estimated gold deposit rose to 2 million pounds in 1995, then to 5 million pounds. Soon Bre-X investors started taking note. The stock, once valued at just 30 cents a share started to climb. Felderho conferred with analysts at J.P. Morgan all of whom were eager to get in on the historic find. By 1997 the stock ascended to $250 per share. Fortunes were made overnight. The company’s inflation adjusted valuation reached $6 billion. The problem, however, was that this “was one of the great frauds perpetrated in North America” according to a lawyer who later represented investors. Michael de Guzman “salted” the samples. That is, he dressed them up to appear indicative of gold. In reality, the gold within was nothing more than shavings from his gold wedding band. As the scale of the deceit grew, he added more gold to the samples, this time from a small nearby panning operation. The lies came to light when Indonesian President Suharto entered the picture. With the find occurring in his domain he became intensely interested in making his claim. He also insisted that another, more established, mining company join the operation. After all, with millions of pounds of gold below the dirt, they would need a few more shovels. 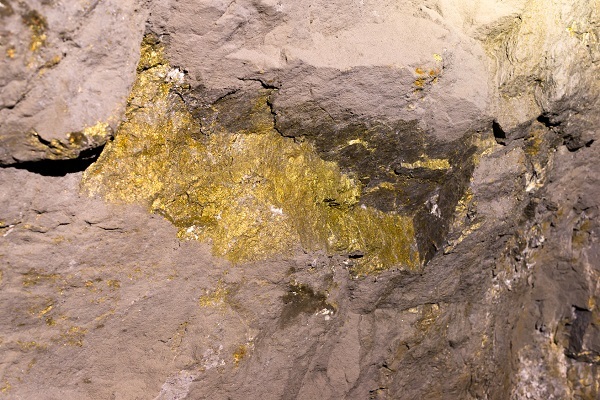 It wasn’t long before the other mining company, Freeport-McMoRan Copper & Gold, insisted on reviewing and analyzing the samples for themselves. Soon after, they discovered de Guzman’s ruse. In the following months, de Guzman’s disappeared in the jungle. Later, people discovered a molar in the dirt; it was de Guzman’s. Investigators believe he jumped to his death from a helicopter while en route to a meeting with Freeport. $6 billion in value vaporized almost immediately. Investors were left with nothing, not even dirt. In 2014 an Ontario Superior Court justice decided to discontinue the languishing lawsuits against Bre-X. The decision was not an indication of innocents; it was instead an acknowledgment of insolvency; there was no money remaining to repay investors. Years earlier, in 2007, Felderho was acquitted of all charges. In the end, the only ones to make any money were the lawyers.